The items I purchased were not expensive at all. In fact, if you stumble on a good sale/coupon for Hobby Lobby and Michaels, you will pay under $5 to get all the shipping items needed. -Bubble wrap (I save the ones I get from Amazon or One King's Lane so I never have to buy any). Optional - Thick brown shipping paper. $3 at our local grocery store. 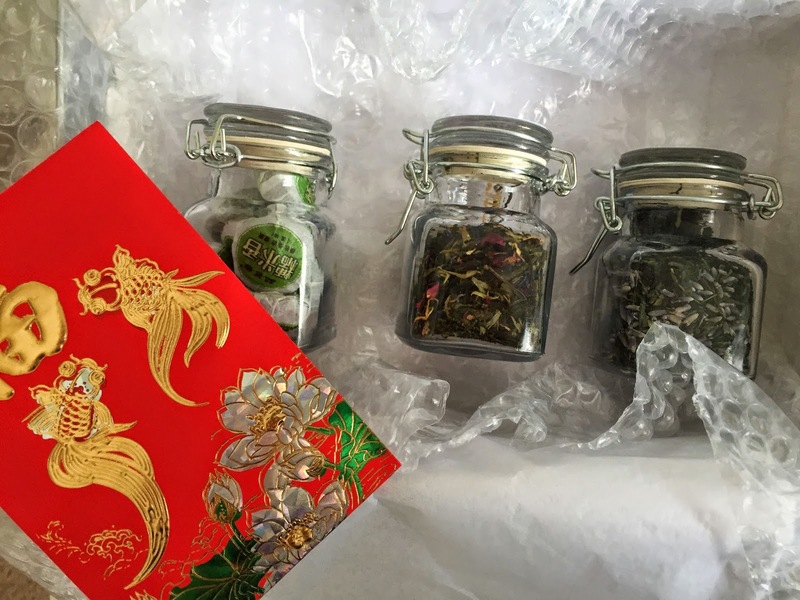 I really like these small glass jars for sending tea. 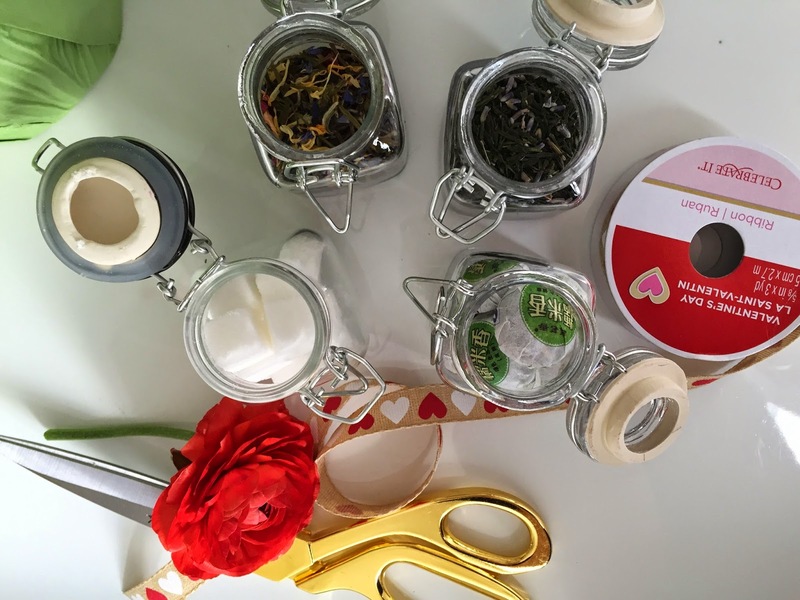 Tins would be lighter and probably better but I like that you can see the teas. 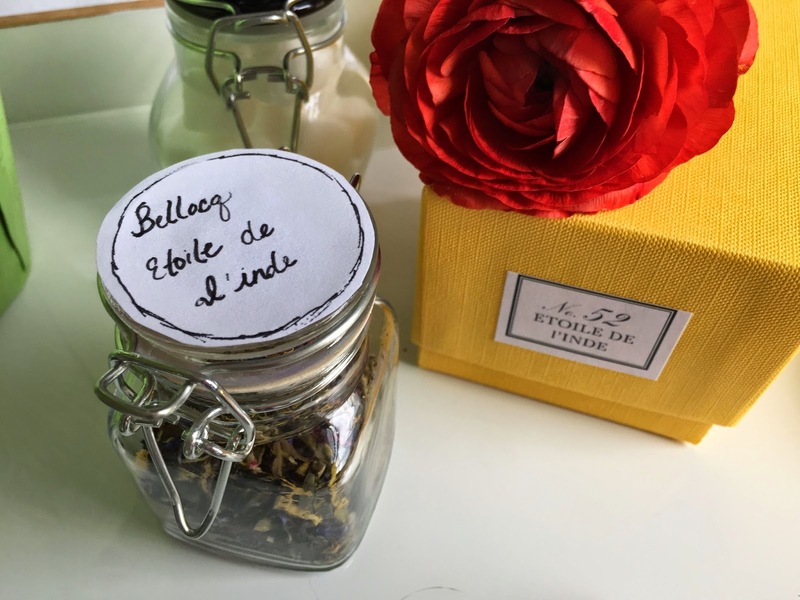 I included my recent favorites: Ito En's Sweet Green Pu'erh, Lavender Sencha and Bellocq's Etoile de l'Inde. I didn't actually send the sugar cubes because my sister does not take sugar with her tea. 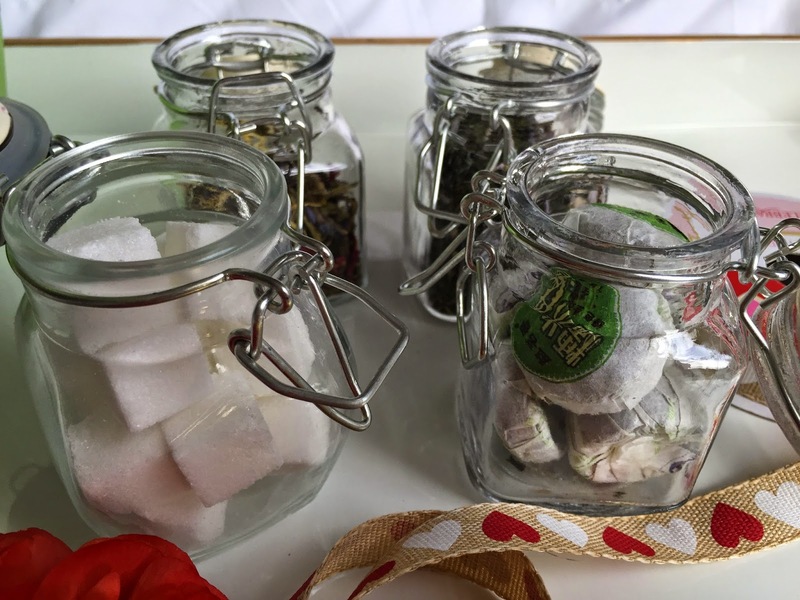 I think sweetener is a nice gesture for someone who does like sugar/honey in their tea. 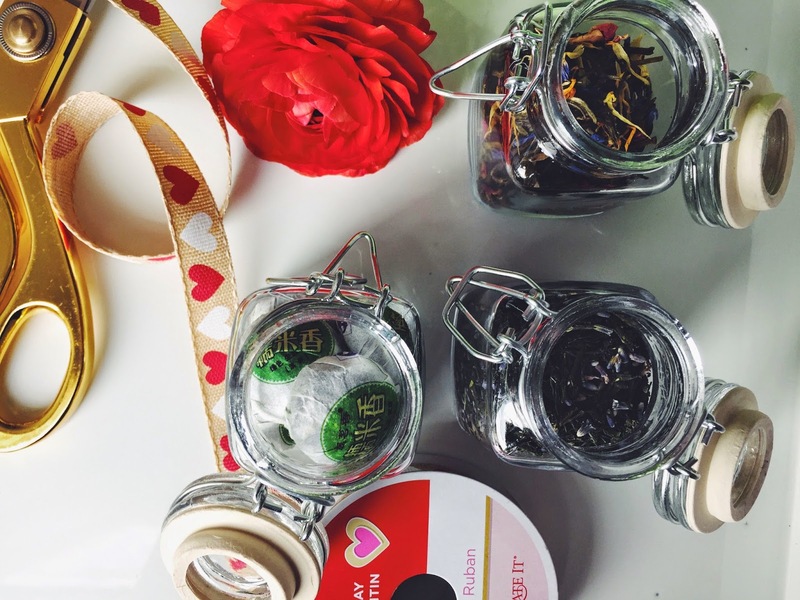 I put tea in the jars, slapped labels on them and cushioned them in plenty of bubble wrap. 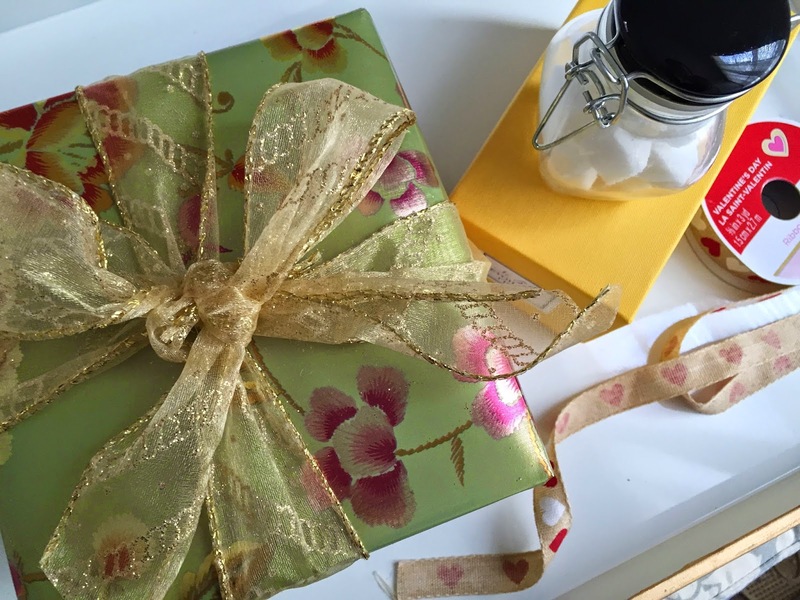 I wrapped everything up with this gorgeous Papyrus paper (it has a lovely woven texture). I was a wee bit lazy with my labels. I could have made them better but I think they turned out fine. 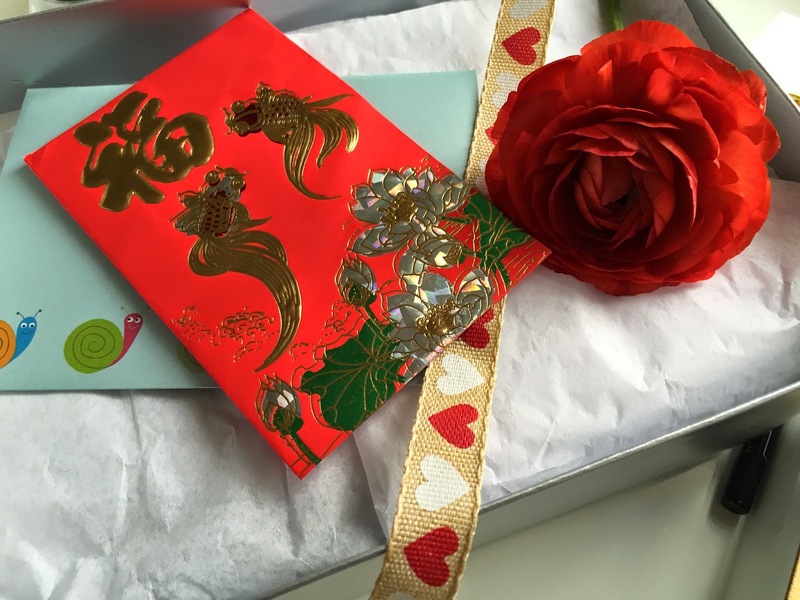 Lucky Lunar New Year money. Papyrus wrapping paper is the best.